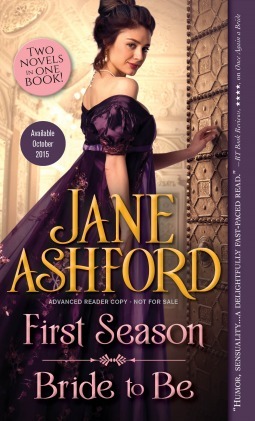 This book contains two novels by Jane Ashford, First Season and Bride to Be. I loved the cover and then was intrigued by the blurb before I decided to pick up this book to read. Jane Ashford takes us to the regency era and creates a vivid, realistic and portrays the hypocrisy, difficulties and life of people in that time most frankly. I enjoyed both the novels that had characters that were flawed, seem so real and had me transported to their world easily. The stories are well paced and held my attention right till the end. All in all, First Season / Bride to Be by Jane Ashford is an engrossing and entertaining historical romance set that is perfect for a leisure afternoon with tea and cakes. Recommended to all lovers of historical romance, I give it 4 out of 5 stars.